We are fortunate to make our living in the very dynamic and rewarding profession of parks and recreation. Regardless of the position you hold, you are making a difference in the lives of your constituency. Though your journey is not over, we are asking you to Pay it Forward, to reach back and help equip the next generation of park and recreation professionals. How? Through a tax deductible donation to the Illinois Park and Recreation Foundation. The endowment is housed within the Illinois Park and Recreation Foundation and only the interest earned can be used to support IPRA member’s educational and professional development needs. The principal will remain intact to ensure that the funds donated by individuals like you, will be used to help build the future of parks and recreation professionals throughout the state of Illinois for years to come. 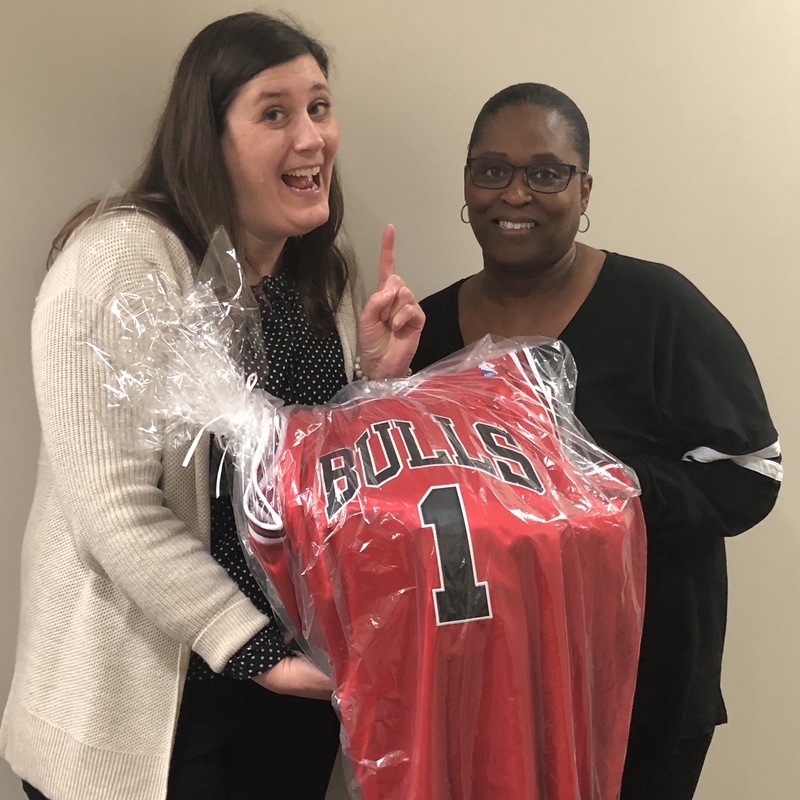 Congratulations to Audry Melchiorre from the Deerfield Park District and Louise Egofske from Lemont Park District for winning the 2019 IPRF Sports Raffle! Audry is pictured with IPRF Board Liason, Trisha Breitlow and Louise is pictured with IPRF Board Member, John Curran . Thank you to all our donors and kudos to Audry and Louise! Students studying parks and recreation are essential to the future success and growth of the parks and recreation field. Their education and experiences will translate into enriching experiences for future generations as new ideas, research and technology emerge. 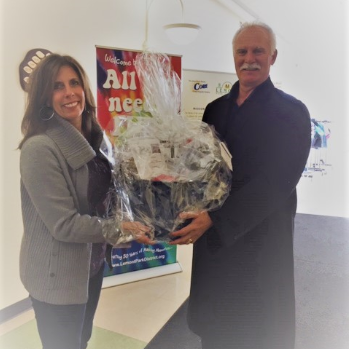 You have the opportunity to invest in the future of a park and recreation professional by donating a gift basket to the Annual Silent Auction at the IAPD/IPRA Annual Soaring to New Heights Conference. Information regarding donating to the 2020 Silent Auction will be available in the fall of 2019. The Illinois Park & Recreation Foundation (IPRF) will be sponsoring four upcoming special events. These events are planned to benefit your agency, the IPRF, and the teams. As a Foundation, we are asking for your support & promotion of the Illinois Park & Recreation day. Organize a group trip for your agency, offer the event in your seasonal brochure for community members to purchase individually, or simply bring your family! The IPRF will receive a financial contribution from each team solely based upon the number of tickets sold. 100% of the funds raised will be used for the Fountation's professional and student scholarship programs. Please click below for details on each event. Scholarships are invested toward today’s leaders to attend IPRA professional development or continuing education opportunities. This scholarship was developed in memory and honor of Rod Aiken, who was committed to the development of new leaders of the Illinois park and recreation system. This scholarship is dedicated to financial assistance for awarded recipients to attend and participate in the IPRA Leadership Academy. This scholarship was developed to promote diversity and inclusion in the field of parks and recreation. The development of tomorrow’s leaders is integral to the mission of IPRF, as scholarships are provided to attend the Annual Soaring to New Heights Conference. This scholarship was established by John and Barb Wilson in memory and honor of the family of John W. Wilson. The purpose of this scholarship is to honor the work characteristics, dedication for serving members of public institutions in the most professional & caring matter, to award who portray similar professional and public service work traits as members of the Wilson Family and to set an example of paying it forward to say “thank you”. The scholarship is exclusively for young professionals who are members in good standing with the SSPRPA. This scholarship is dedicated to financial assistance for awarded recipients to attend and participate in the IPRA Supervisor Symposium and the IAPD/IPRA Annual Conference. Member Benefit Events Funding is provided to enhance continuing education and professional development opportunities, such as ProConnect and ProConnect South, which places professionals of various backgrounds and career experience into a three-part mentoring team. Special Assistance/Disaster Relief financial support is provided to assist an individual member, including relief to mitigate the negative impact of an emergency or disaster that has affected the individual, such as a house fire.